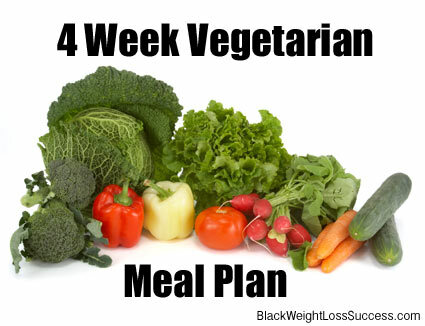 I’m happy to bring you are free 4 week vegetarian meal plan to help you on your weight loss journey. I feel that there are a lot of benefits to eating vegetarian and I want to make sure that I provide a vegetarian plan along with clean eating plan I’ve posted. I’ve also created a list of tips to help you use this meal plan. Visit the link for the recipes for week 1. You’ll find the shopping list at the bottom of this post. Dairy: There are a few recipes in this plan that include in this meal plan because I know many people are lactovegetarians or are transitioning to being vegetarian. Please omit the diary if you don’t eat it. Please modify these recipes as you see fit, if you are Vegan. I am currently on a low carbohydrate diet. I noticed there are a lot of carbs on this veggie meal plan. Would it be alright for me to use this meal plan ever other week, switch back to low carbs and still shed weight. I like the vegetarian meal plan but I would like to know the nutritional breakdown. I exercise at 4-5 times a week and I want to make sure I’m getting enough protein, naturally. I would appreciate some feedback. Please and thank you. I don’t have the exact nutritional breakdown for each meal. Yes, the link is at the top. where are the recipes to go with the meal plan?